Things that usually go viral: cat videos, cute kids, animal rescues, tearjerking feats of humanity and celebrity social media hijinks. But a sandwich? Let alone, a vegan sandwich? Oh yes. That is how it went for the Whole Foods spin on a TTLA. 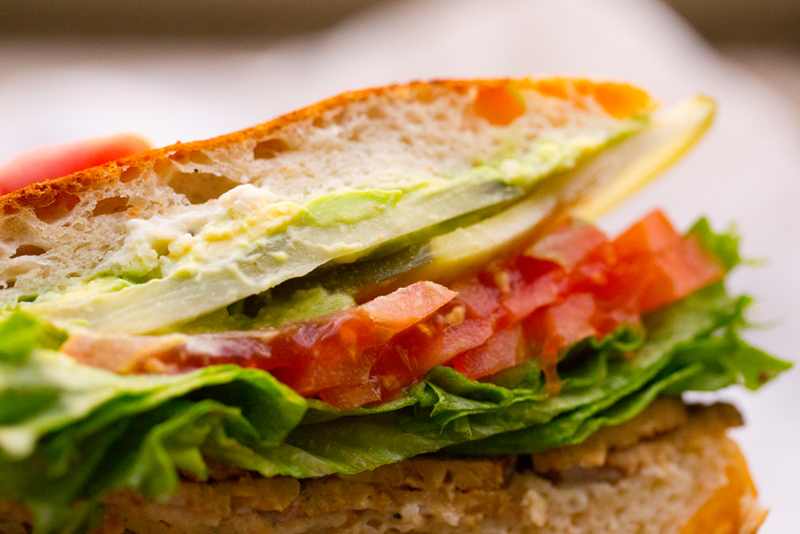 The truth is, most vegans have been eating and making TTLA sandwiches for years now. 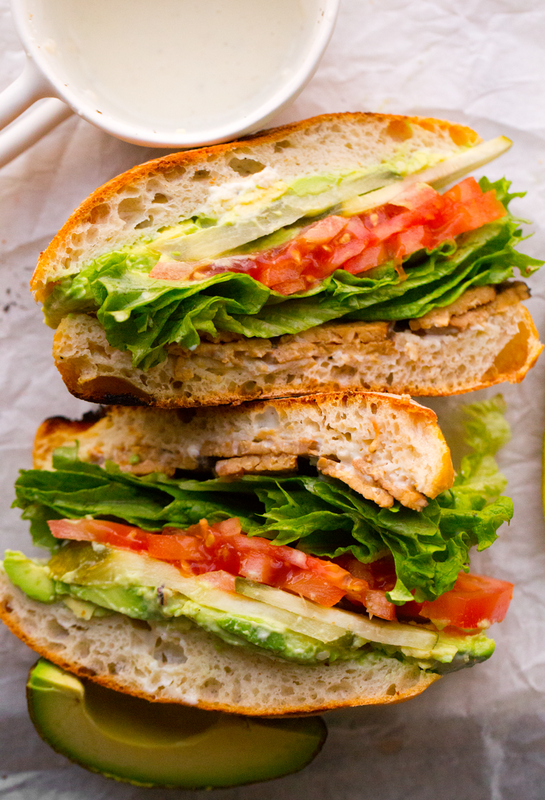 The TTLA acronym stands for Tempeh, Tomato, Lettuce and Avocado. 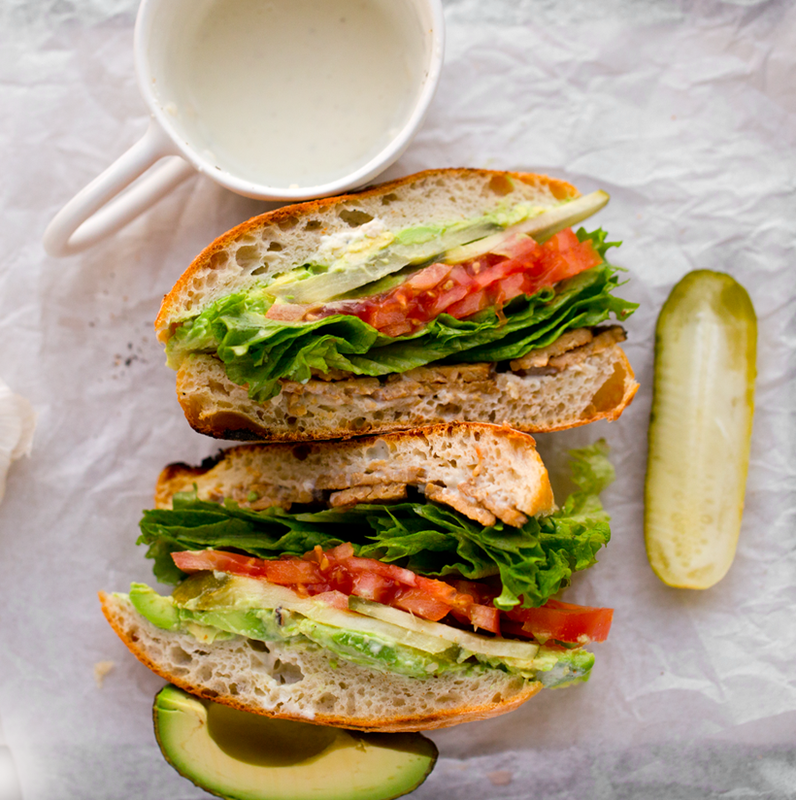 Of course, if you have tried the Whole Foods sandwich you know that they use a dreamy garlic aioli that takes the sandwich to the next level. And adding a pickle is a wise flavor upgrade as well. 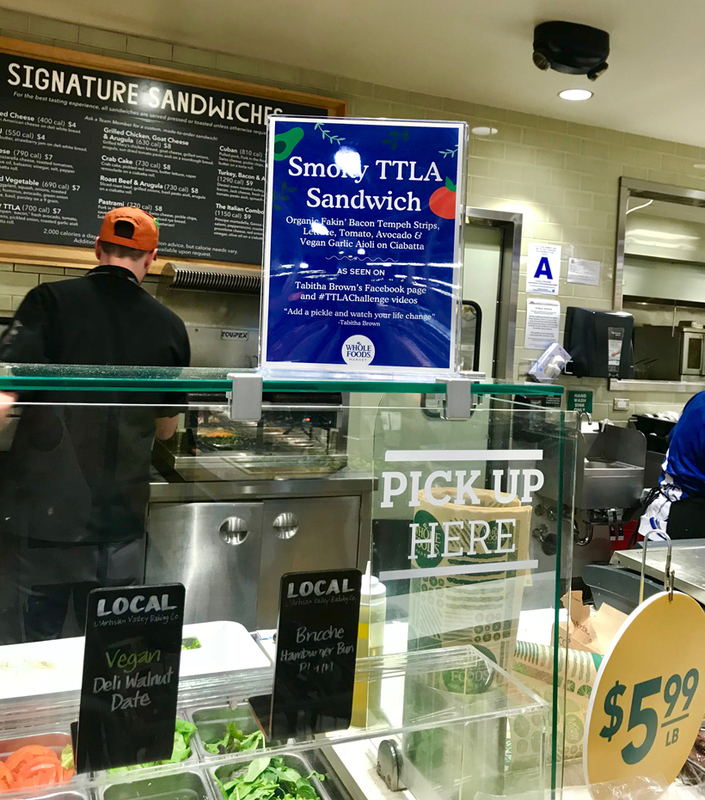 But guess what guys, if you are stuck at home or miles from a Whole Foods, you can absolutely make a TTLA in your very own kitchen -- in a flash. And you will finally understand this "gone viral" quote from Tabitha Brown..
“If you got a Whole Foods by you, go to their deli, ask for this TTLA, add a pickle, and watch your life change." 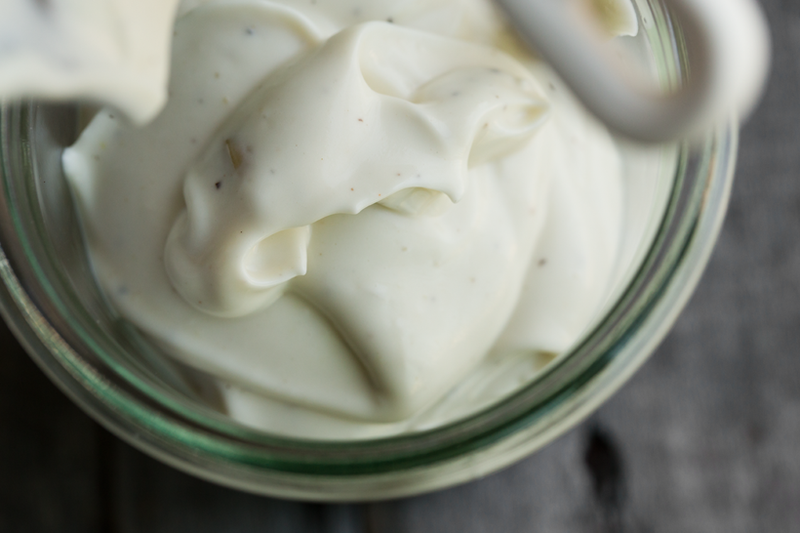 Take your aioli to the next level, with my Roasted Garlic Aioli..
Make it. Love it. Make it again and again! Gone Viral Vegan Food. One of my friends tagged me on the viral Tabitha Brown video. (TY for the heads up Cat!) I was like, oh, cool, yeah, vegans have been making that sandwich for a while now. But clearly, this was something special going on. And the video is beyond amazing and enjoyable and lovable. Everything a viral video should be. And later that day, I kept bumping into the video online, again and again. 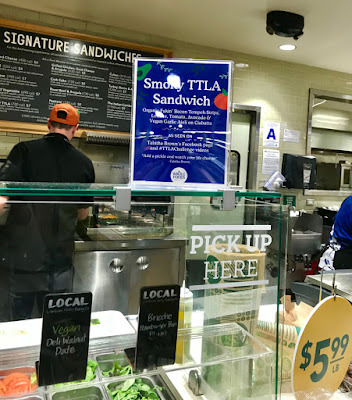 Well I was traveling and the very next day I found myself in a Whole Foods Market in Palm Springs and their sandwich department had a little sign... (below) So, I HAD to try it and see what all the fuss was about. The cool thing about the Whole Foods TTLA is that it absolutely a unique spin on a TTLA. Why? Well, I think it is all about that garlic aioli. So how close to the "real thing" is my sandwich recipe below? I would say, pretty darn close!! I mean if you watch the sandwich maker's work at WF you will see that they are actually using Lightlife branded tempeh bacon, which you can buy right off the shelf at WF. 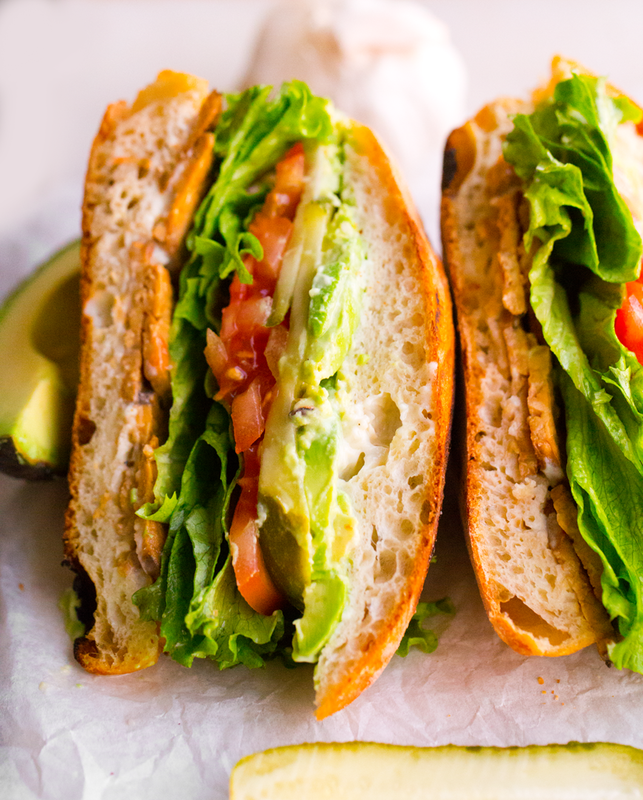 When they make the sandwich, they do not even warm up the tempeh bacon, which always surprises me, but the funny thing is, it still tastes amazing. If you wanted to, you could take an extra step and sauté the tempeh bacon in a skillet with a splash of oil. Totally optional though. And the other option is to just make some tempeh bacon yourself, which is my favorite thing to do with all sorts of recipes. 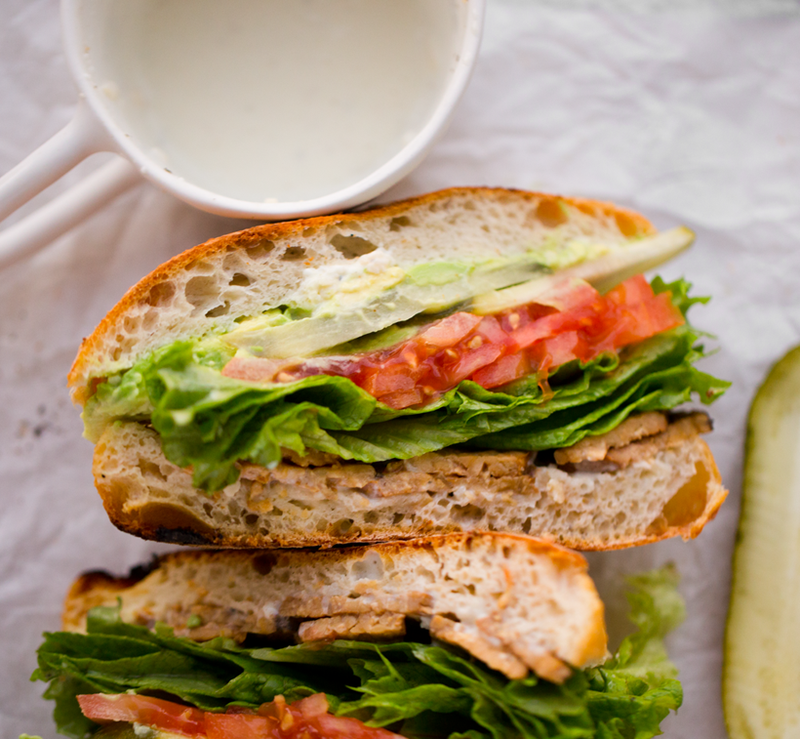 Watch me make tempeh bacon in this easy recipe post. Garlic Aioli. 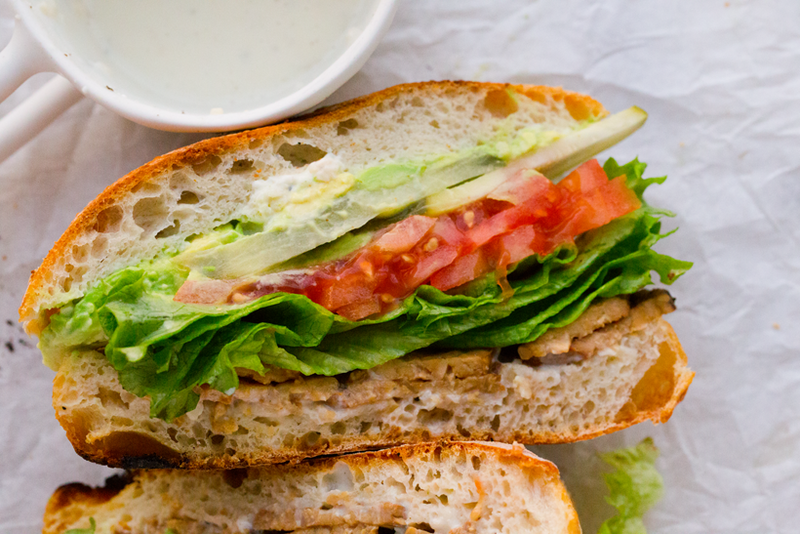 I personally think that the thing that makes the Whole Foods sandwich a truly unique a viral-worthy recipe is that they have added a garlic aioli to the sandwich. Genius! I do not know the exact recipe that WF uses, but this recipe below comes pretty darm close. It was so delicious that I was dipping pieces of bread and carrot sticks in the leftovers and eating it like that. SO good! 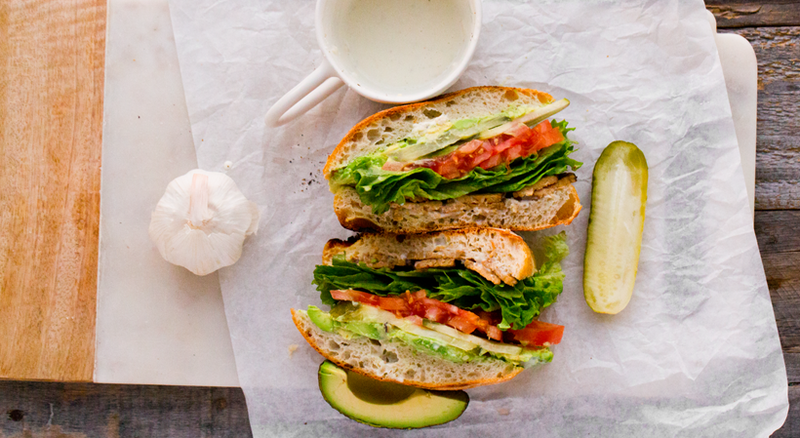 There is something about the simple combo of garlic, lemon and vegan mayo that is beyond dreamy. For the garlic, you could smash 1-3 raw cloves and use those. Or you could use chopped garlic (either fresh or jarred). And lastly, you could use a few cloves of roasted garlic, which would be really delicious. Next time I am going to try a roasted garlic aioli. - Bread. 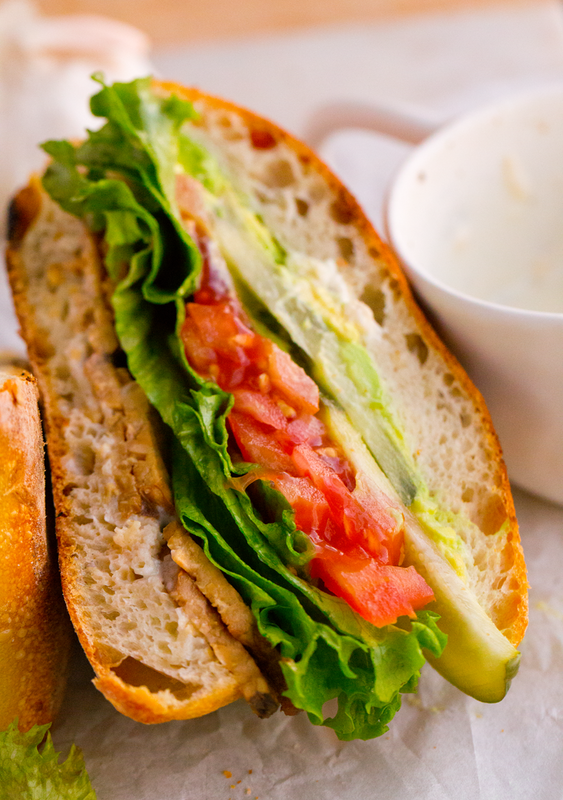 I love getting this sandwich on a rye bread or even a sturdy toasted sourdough. - Pickle. Adding the pickle is a really good flavor upgrade. - Peppers. Another add-on that I love: roasted bell peppers. - More spice. Add some pickled jalapeños or maybe even some spicy Dijon mustard if you want a boost of heat. - Extra Avo. 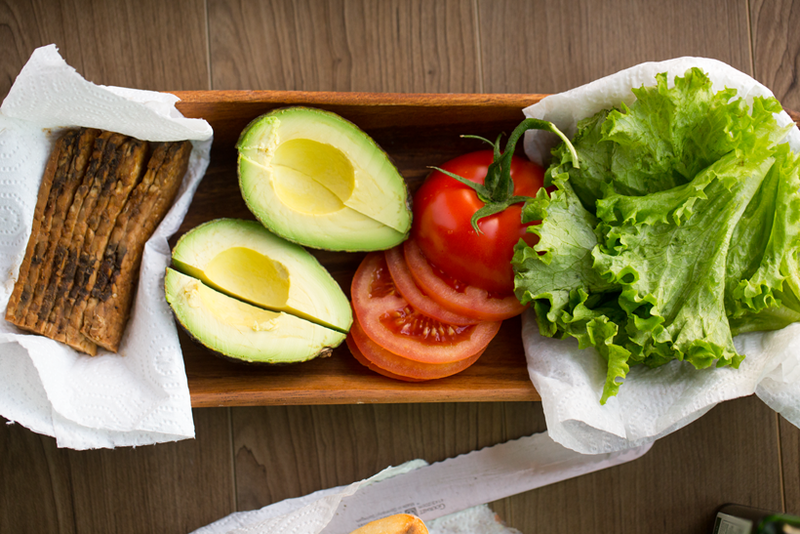 Do not skimp on that avocado. Load it on! 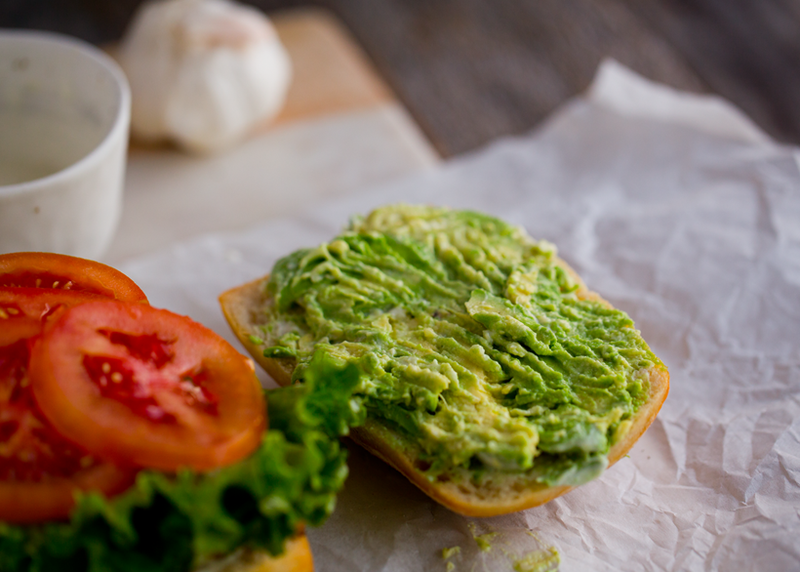 Definitely use a full half, if possible mash on an entire avocado for one sandwich. Yup, that would be epic. For this sandwich, I used 3/4 a medium avocado. 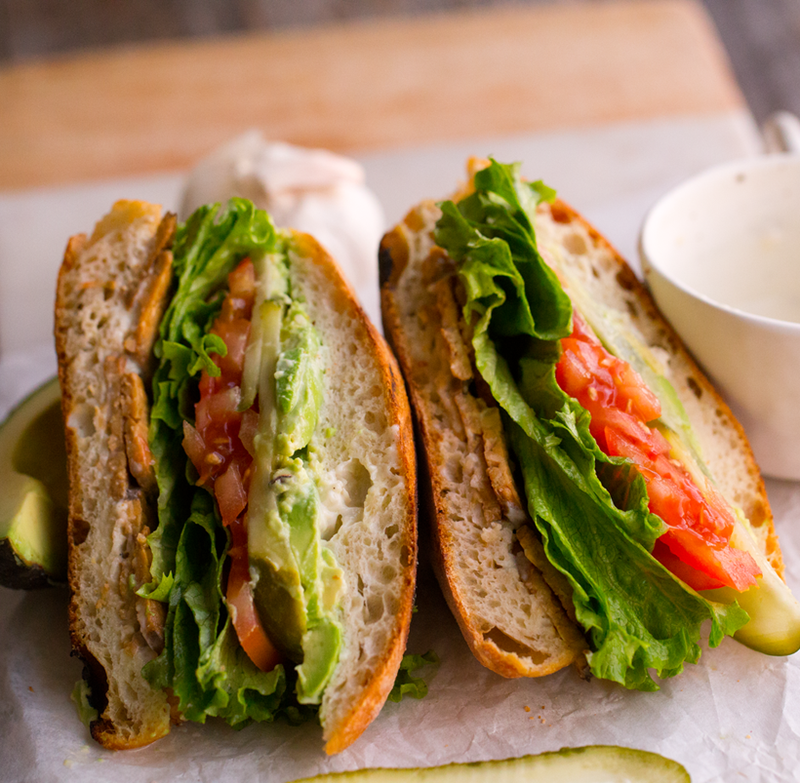 This flavorful vegan sandwich contains avocado, smoky tempeh, tomato, green leaf lettuce and an unforgettable garlic aioli sauce. 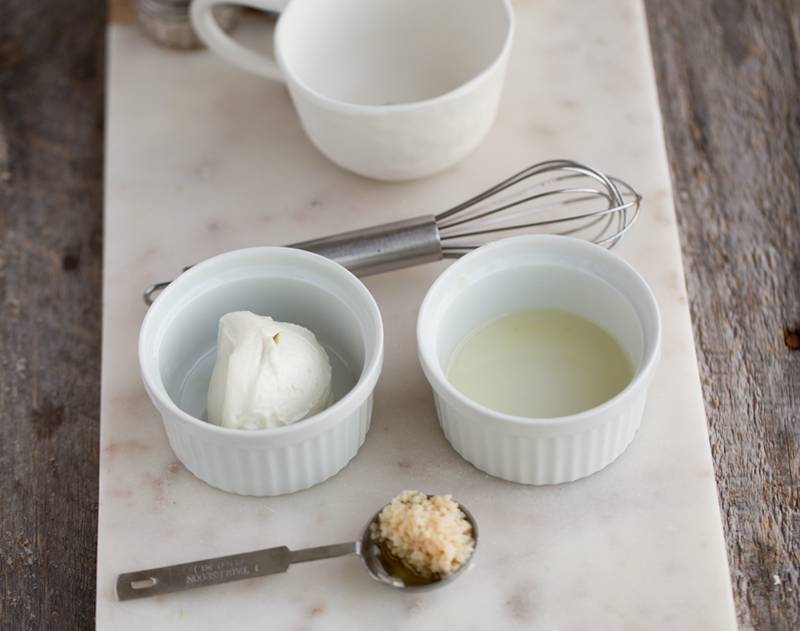 Add all the garlic aioli ingredients to a small bowl and whisk until smooth, rich and creamy. You want the olive oil to be emulsified. you can also try my roasted garlic aioli recipe. Lightly toast your ciabatta roll. Slice in half. 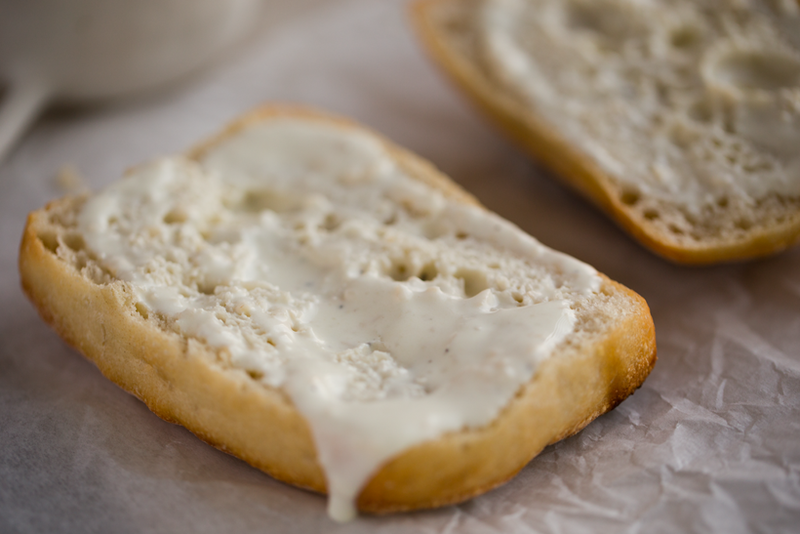 Generously spread the garlic aioli onto each inside of the bread. press the aioli into the bread a bit so that it soaks in. 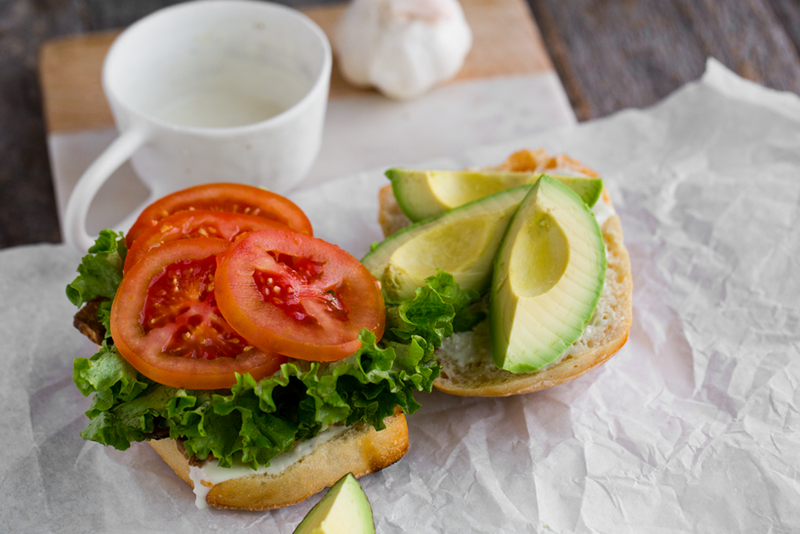 Add the avocado to one inside of the bread and smash well into the aioli, using a fork. 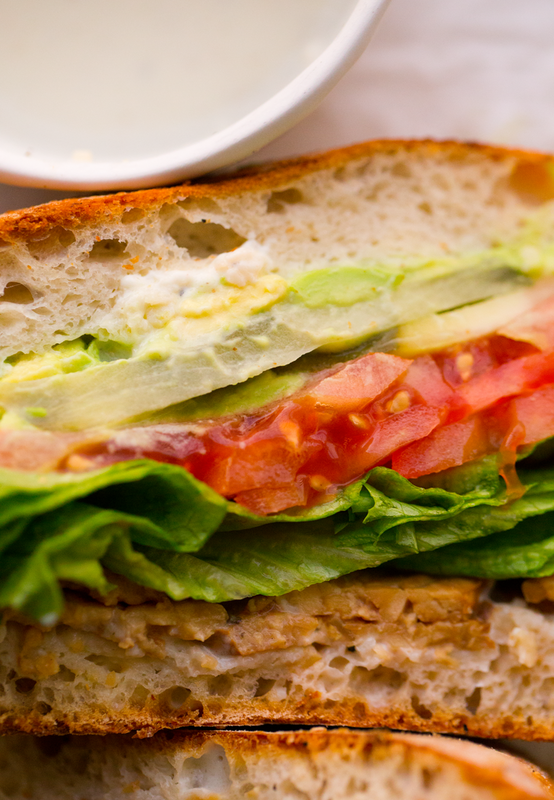 Layer on the tempeh strips, tomato and lettuce. Add the optional sliced dill pickle. 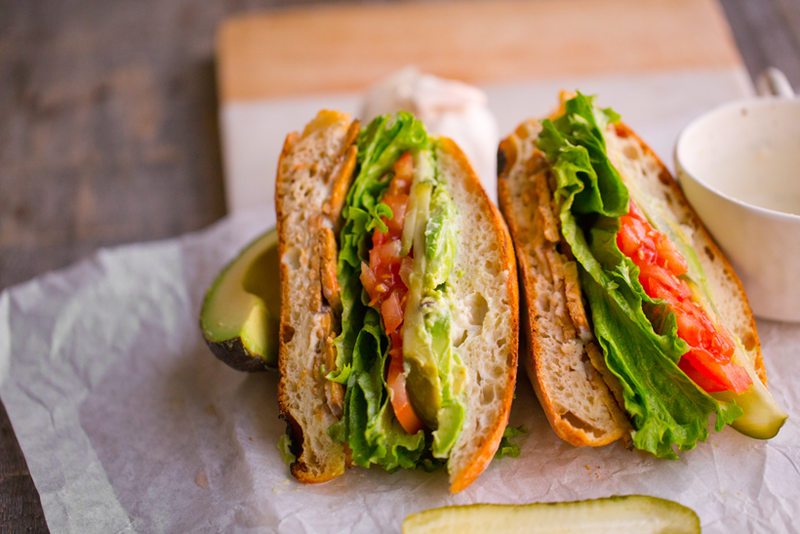 Put the sandwich sides together and slice and serve! Enjoy this flavorful masterpiece.